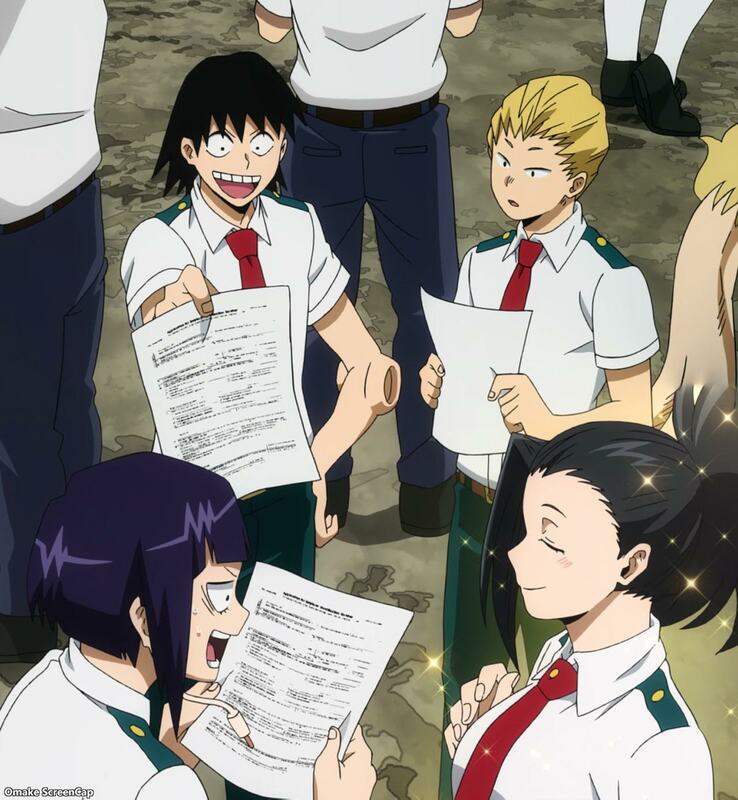 Midoriya made another official step towards his goal of becoming a pro Hero. Good job, Deku! Surprising no one, Momo got one of the top scores in rescuing people. 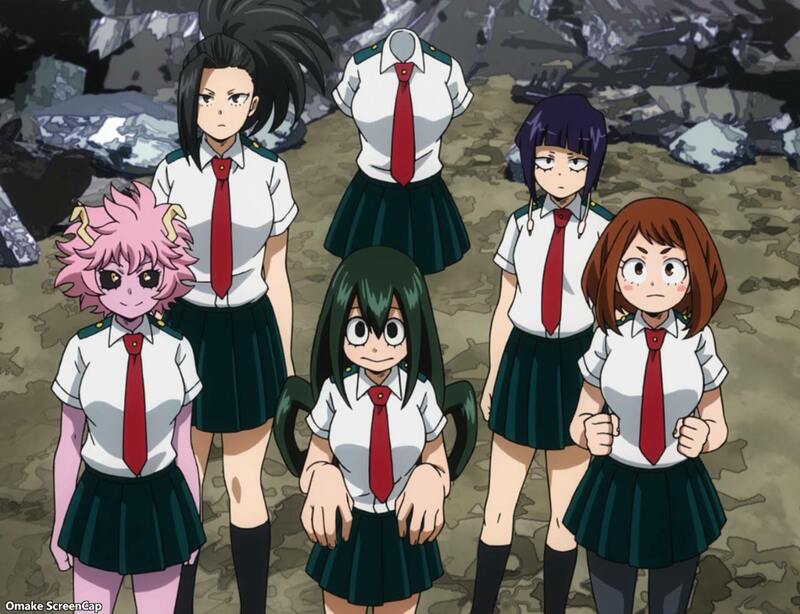 All of the girls in Class 1-A passed, but the two most powerful kids, Todoroki and Bakugo, did not. They still have a chance to catch up in a remedial program, though, so they don't have to go through the qualifying exams again for next year's test. Uruka is really racing ahead in the harem points race. Childhood friend, secretly in love with him, and she can cook! Mai and Yatogame are in the photography club, but Mai's main subject is Yatogame herself instead of anything around Nagoya.